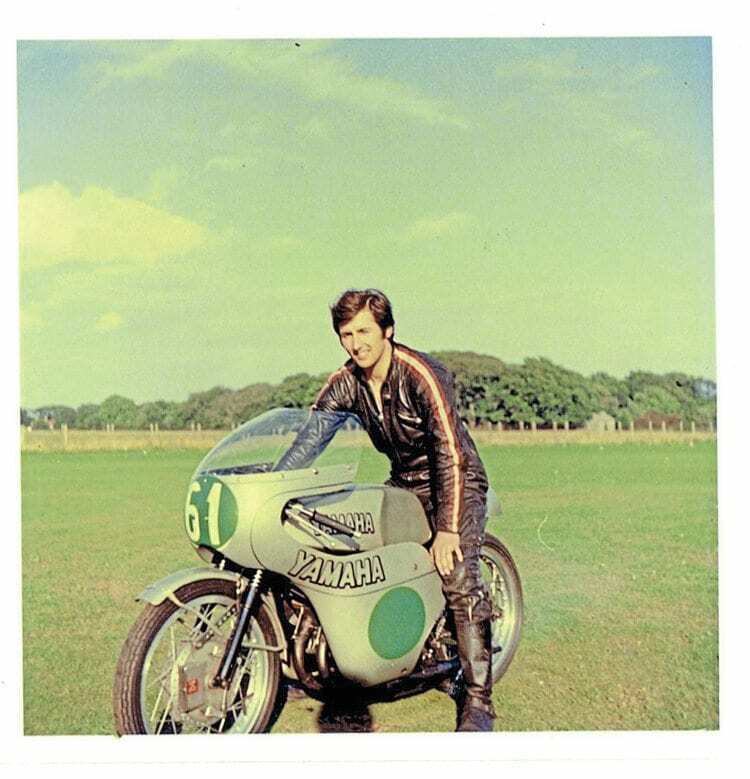 Peter Gripton raced on the Isle of Man in 1970-71 – what was it like to go back 45 years later? They say that life is what happens while you’re making other plans. 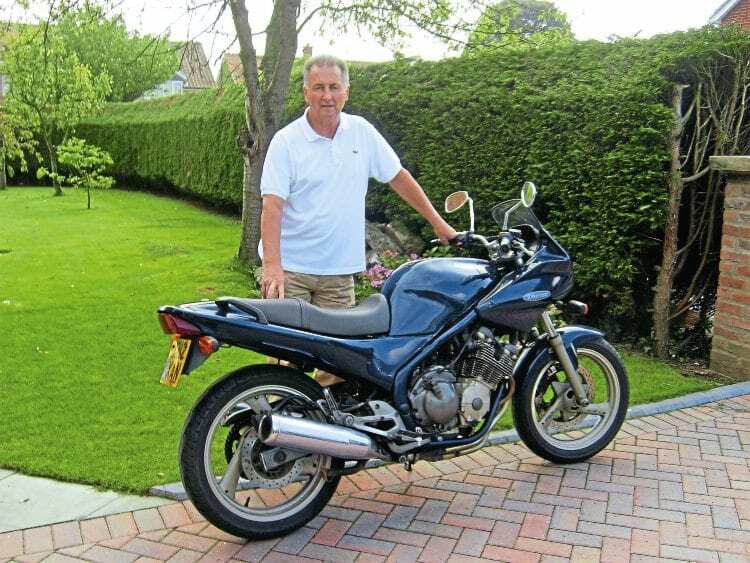 I’ve been riding for 52 years – everything from an early Vespa to a petrol/methanol burning Suzuki TS250 and my current grey-import Yamaha Diversion 400. I’ve always used my bikes for commuting and general pottering around, but I’ve never strapped on a tent and bag of clothes to head off on a long trip. Meanwhile, youngest sister Claire has been riding a 125cc Honda around London for years until on a whim she bought a 2011 Kawasaki ER6-N and has been badgering me for the two of us to do a trip. 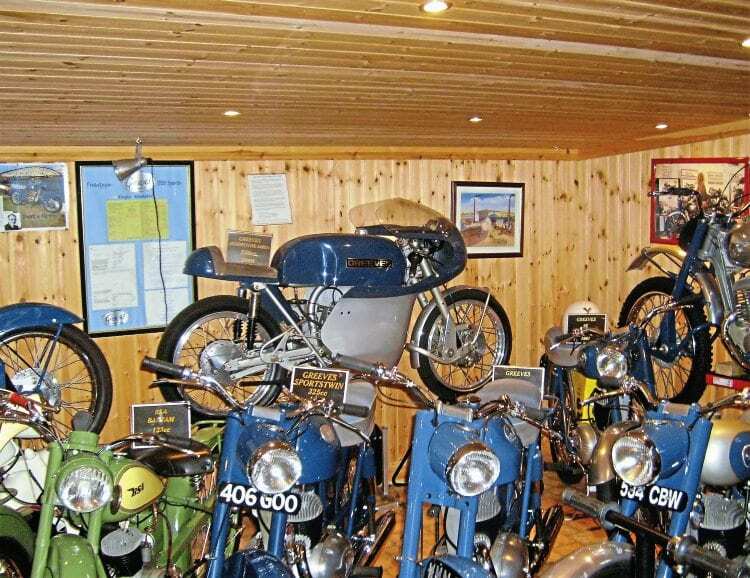 Greeves Silverstone was Peter’s first race bike. I suggested the Isle of Man and the Manx Grand Prix. Why? Because in 1967, thanks to a special offer on the ferry, I made my first visit to see the Manx. 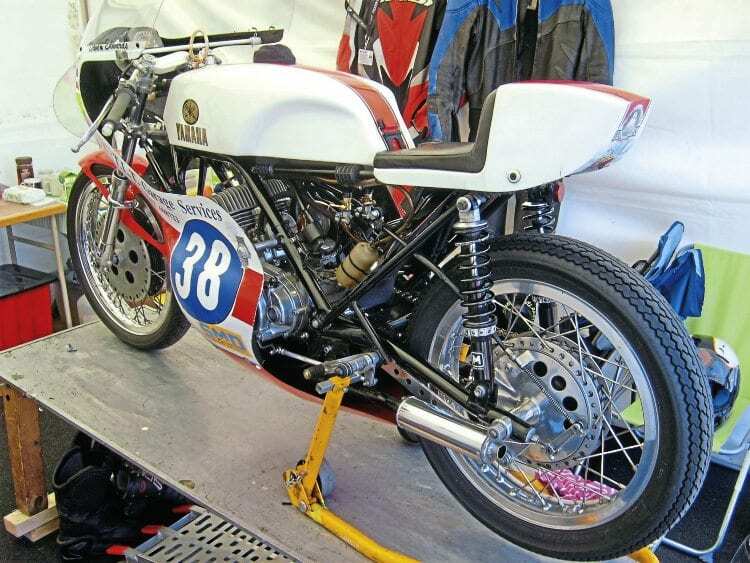 I was hooked, just had to race there, and three years later I did, on a Greeves Silverstone 250. 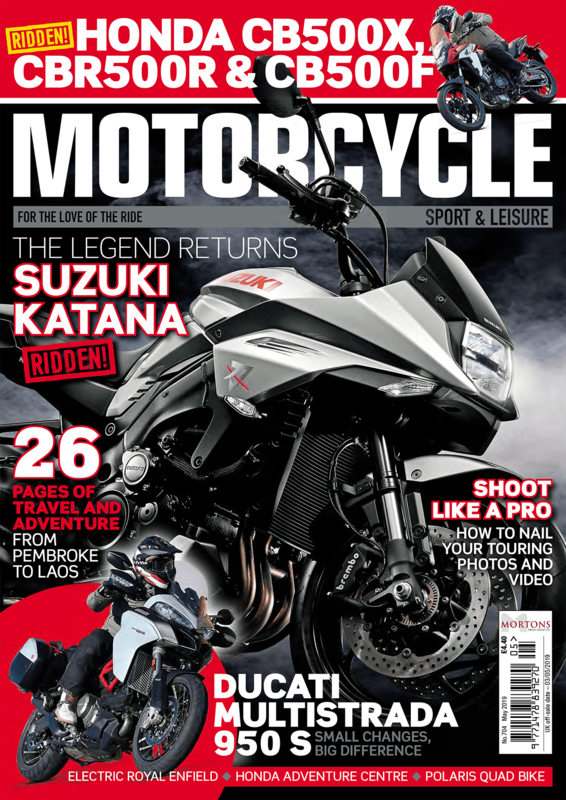 I even wrote it up for Motorcycle Sport (the original incarnation of MSL). The following year I was back, on an ex-Charles Mortimer Yamaha TD1C, finishing 28th with a fastest lap of 80mph. Peter made an 80mph lap in the Manx, not bad for a newcomer. So 2.15am one wet Monday morning saw Claire and I on the Heysham ferry, having taken the scenic route via Skipton and Settle. I should add that I usually plod along these days, rarely exceeding 50mph, and Claire is even slower, but we did make it, the only people catching the boat apart from a few motorhomes and a huge BMW-powered outfit from Switzerland – the sidecar team had ridden all the way in less than two days, which put our relaxed ride to the ferry into perspective. Douglas at daybreak can emit a general gloom, especially when you’re already in a damp, semi-conscious state and have five hours to kill before taking up residence in the B&B. The answer, of course, was to do the same as I did 44 years ago and take a trip on the steam railway to Port Erin. Being a bit of a steam buff, standing in a dry carriage with my head stuck out in the breeze, getting covered in smoke, soot and my hair collecting fine coal particles, was a delight. The weather was slowly improving and by the time we arrived back in Douglas, the sun was out and things were looking up. Incidentally, they do a good breakfast at the station served on a small coal shovel, mercifully free of coal. 1971, a young Peter Gripton and his newly-acquired TD1C Yamaha. In warm sunshine, we joined the course at Quarter Bridge and left it at Ballacraine to find our B&B, the excellent Knockaloe Beg farmhouse, just south of Peel. Later that evening, while Claire crashed out, I watched practice from the entry into Kirk Michael. You know what they say about the whiff of Castrol R – well I got a sniff of it, and it brought back memories of accelerating hard through that narrow village main street. 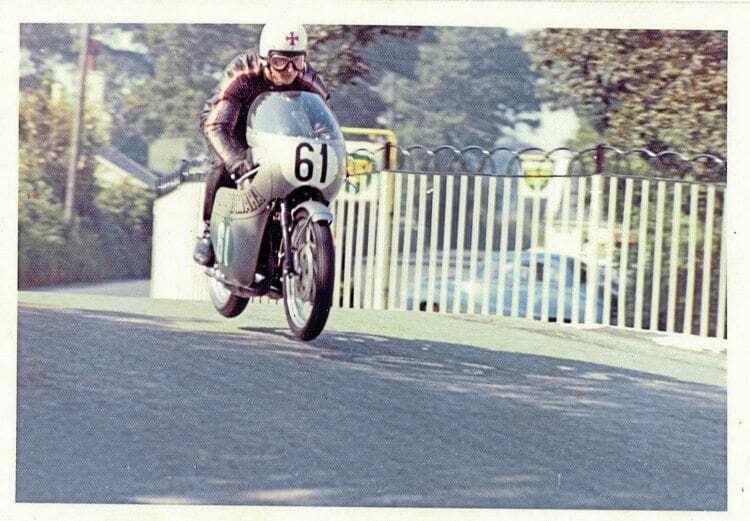 Young PJ gets air on Ballaugh Bridge – 45 years later, his front wheel went very slightly light. Next day, Tuesday, was to be Claire’s first attempt at the TT course. We joined it at Ballacraine, and it was this section though to Kirk Michael that I had struggled with when racing. Now it was a delight to cruise along the course, some of which I remembered but most was a bit of a blur. I was never smooth or quick enough at the 11th or 13th milestones, entering them with serious intent, then choking slightly and being out of the power band on the exit – I wasn’t much better on the Diversion. Still, I did manage to get the front wheel slightly light at Ballaugh Bridge, while Sulby Straight seemed far smoother than I remembered – in 1971 it was a case of aiming straight, head down, bracing the arms against the tank and holding on tight. PJ now, still riding, 45 years later. Ramsey to the Hairpin was rough even on a softly-sprung Diversion, and seemed worse than when I raced there. I was very smooth going around the Hairpin as there were four police cars parked up and I wanted to show them that I hadn’t completely lost my touch. On the ascent to Guthrie’s I felt a bit more in the groove, accelerating as strongly as the Diversion’s 53bhp would allow. This burst of enthusiasm came to a halt at Mountain Mile with thick cloud bringing visibility down to perhaps 30 yards. After a coffee break at the Creg we took the back road to Laxey and then rejoined the course on the outskirts of Douglas. 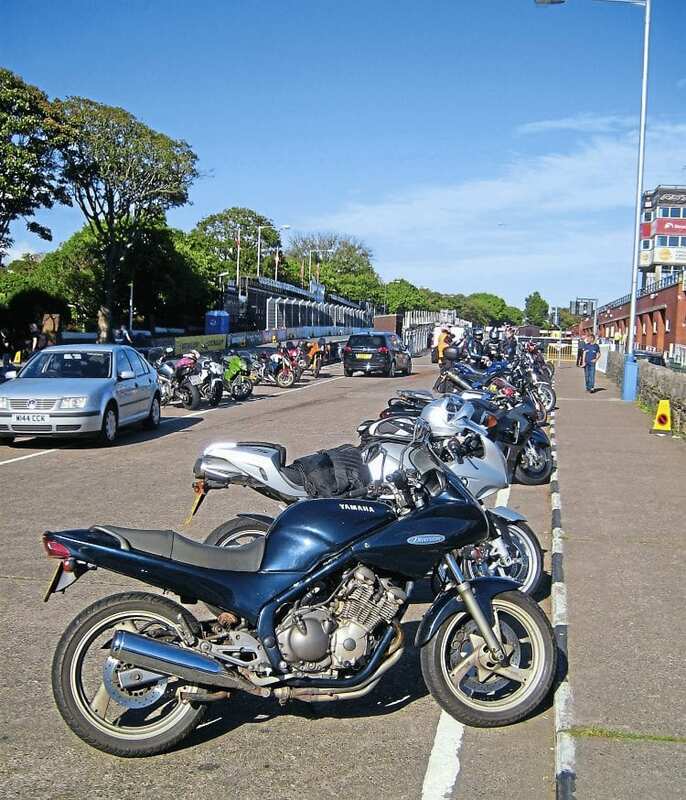 The intention was to fly down Bray Hill but by then it was rush hour, and a combination of traffic, red lights and a long tailback meant that it took about 10 minutes to reach Quarter Bridge. 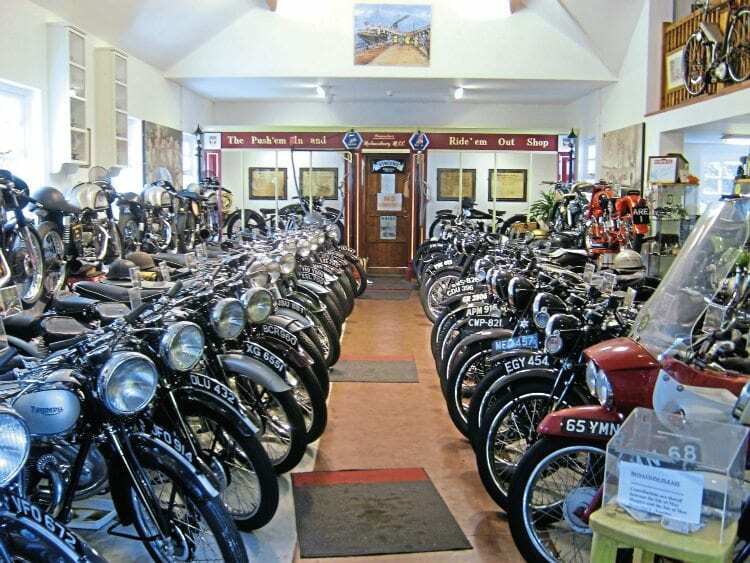 Worth a stop, the ARE collection at Kirk Michael. Down at the Grandstand things had changed out of all recognition. From memory, the paddock was a rather grassy area full of elderly vans but now it resembles something from F1 with huge trucks and vastly improved facilities and security. Grandstand hasn’t changed that much – paddock has. As we wandered about the paddock in the sunshine, I began to enter a mildly delusional state of mind and contemplated some ‘what if’ scenarios. What if I regained full fitness? What if I was eligible to race? Could I lap at 80mph again… or maybe even faster? But what bike to ride? Then I saw it; a beautiful 250cc Yamaha. It belonged to Manx regular David Edwards whose fastest practice lap this year was 92.8mph, the bike geared for 130mph. Dave Edwards’ TD2 Yamaha set Peter thinking. What if? We told him that we were going to spectate that evening from the end of the Cronk y Voddy straight and would give him a wave. Well we saw him, we videoed him and we waved, but he didn’t wave back – I wonder why? 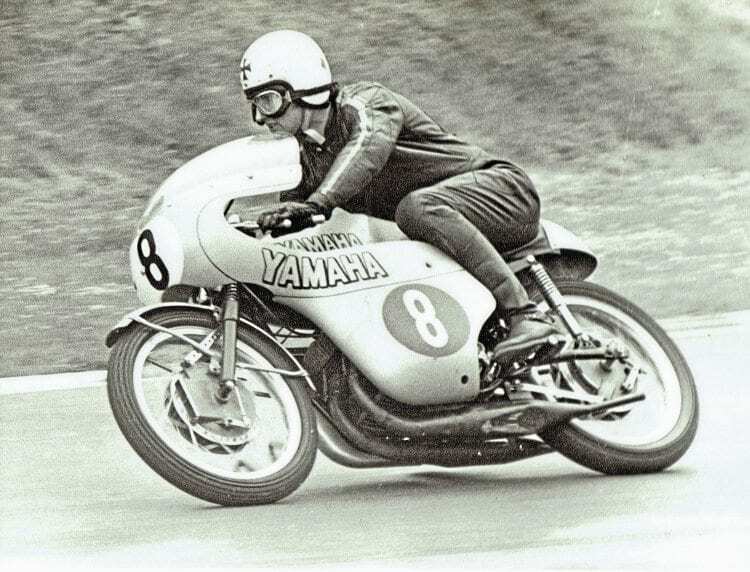 For the race, David decided to increase the rear sprocket by one tooth to make the bike more flexible on the twiddly bits, allowing the Yamaha to be revved to 11,000rpm. This was probably the cause of a piston ring failure when he was leading the 250cc class of the Junior by 47 seconds. So how did I feel about returning to the Island after 45 years? To answer this I first have to come clean. When I raced I simply wanted to finish and put up a respectable time for a newcomer. There were a few mechanical issues with the Yamaha in 1971 but they were resolved and I rode well within myself, there being only one hairy moment, namely a huge tank slapper near the Sulby crossroad. 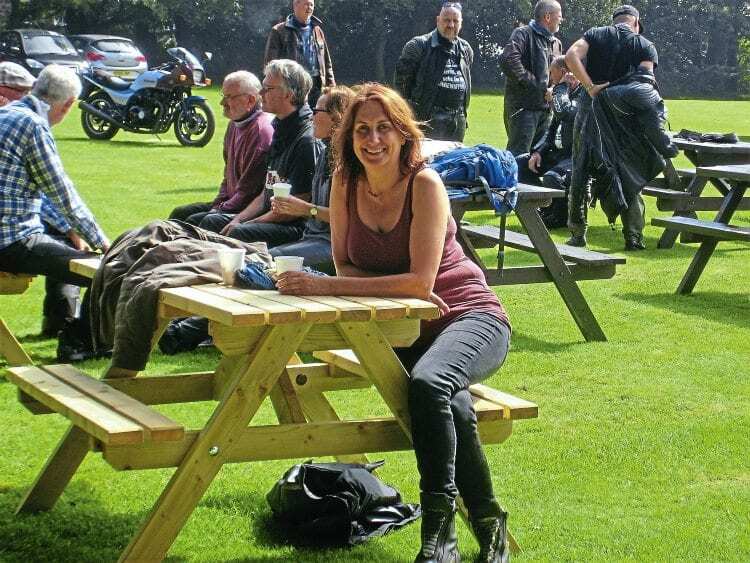 It was quite a lonely race – I think I overtook three riders and was myself overtaken by another three and was both relieved and delighted to have finished. But within a day or so, I had a terrible feeling of anti-climax and an overpowering desire to leave as soon as I could. Sister Claire enjoyed her first visit to the Island and wants to go back. I have never really understood this, particularly the following year, when I had a lot of issues qualifying and broke down on the first lap – I took it all in my stride and had no strong desire to catch the boat home. So my relationship with the Island has always been tinged by that first post-race feeling. As for Claire, she really enjoyed herself and was even thinking about offering her services as a marshal for the following year. For me, I think I would need something more active. Either way, it was a great pleasure all those years ago that the Manx government closed public roads so that I, plus a few others, could race on what was without doubt the greatest motor racing circuit in the world. And do you know what? It still is. Next Post:MSL June 2018 out now!